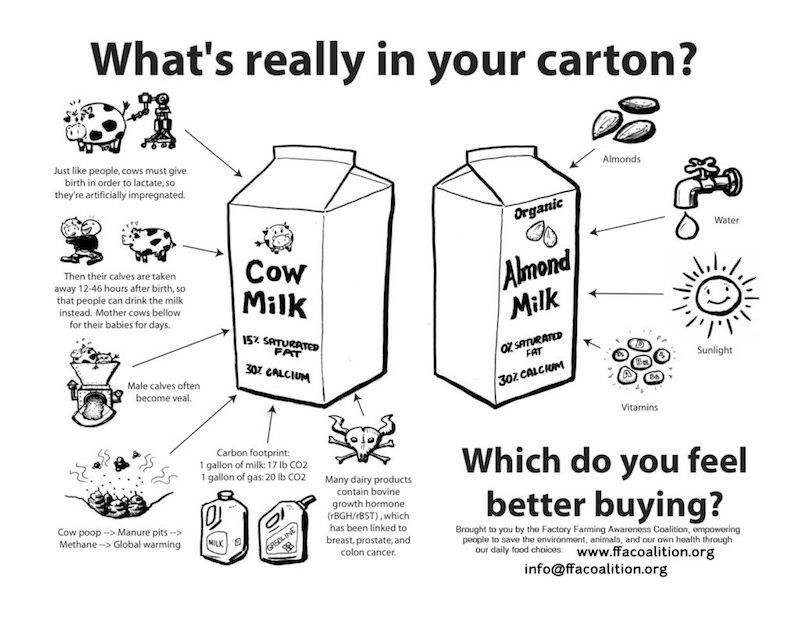 The Atlantic reports, as part of its new $50 million “Milk Life” campaign, which replaces its outdated “Got Milk?” ads, the dairy industry is trying to plant seeds of doubt about plant-based options by questioning the ingredients of almond milk. Given the facts, however, it seems unlikely that such tactics will take root. Moo-ve over, dairy! While milk consumption declines with each generation — it’s down 37% since the 1970’s and keeps dropping — demand for plant-based milks is on the rise. In fact, the market for dairy-free foods is projected to reach $20 billion by 2020. 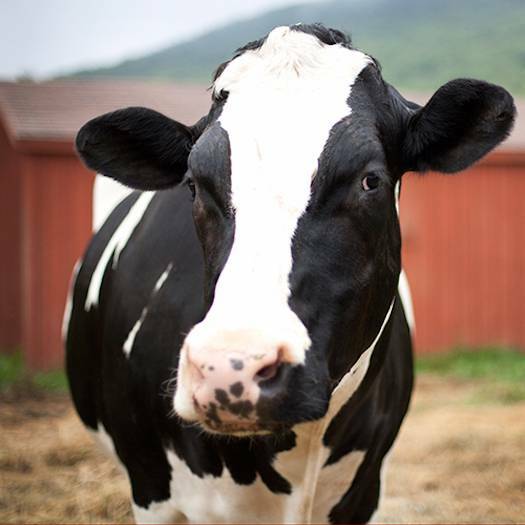 This growing dairy-free demand isn’t going unnoticed by the industry. On a positive note, industry news site The Dairy Reporter recently listed Daiya’s vegan cheese slices as the top new product “in the dairy aisle” in June. But as non-dairy options are flying off the shelves, some Big Dairy marketers are showing their fear by taking aim at the consumers’ most popular plant-based choice: almond milk. Cows raised on factory farms are pumped full of drugs and constantly impregnated in order to produce unnaturally large amounts of milk. Their swollen udders are hooked up to milking machines, and blood or pus can wind up in dairy milk packaged and sold. A wide variety of plant-based milks are readily available and healthier for you — and for animals! Choose from almond, soy, hemp, coconut, rice milks and more, and they’re often found right alongside their dairy counterparts. They’re also sprouting up in major coffee chains like Dunkin’ Donuts, Tim Horton’s and Starbucks, where you can find non-dairy milk options for your benevolent beverages!